On September 14th, we announced the release of the new BBN Free SMS Messenger – an internet utility for sending free short messages to your friends, colleagues and family members. But why the name changes? What you probably have been used to is BBN SMS Gateway and now BBN SMS Messenger. The simple answer is what we seek to explain in this article. BBN SMS Messenger is a web based tools for sending short message to mobile phones. BBN SMS Messenger is available in two varieties: Free and Prepaid both of which interacts directly with the BBN SMS Gateway to broadcast sms. BBN Free SMS Messenger is built for everybody to send instant sms to family, friends, colleagues, classmates, etc. for free every day. All you need is to signup for a free account. The message delivers on recipient’s phone as if it originated from your mobile phone and when the reply is typed it delivers back to your mobile. Finally, the BBN SMS Gateway is a Business to Business B2B product that allows interaction between software products such as the SMS Messenger, Reseller bulk sms messaging platforms, e-Commerce platforms and other enterprise platforms for the purpose of sending out text messages. Our gateway currently supports only HTTP GET & POST connections. The gateway currently provides integration guide with sample code for connecting your platform to BBN SMS Gateway. A PHP SDK is also available for download at this location. To put this altogether in one place, we have rebranded the home page of bbnsms.com to reflect this friendliness and simplicity. 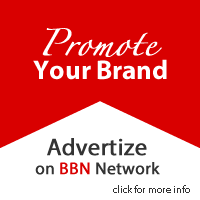 Visit http://www.bbnsms.com to see the new design. Thank you for the time taken to read this article.